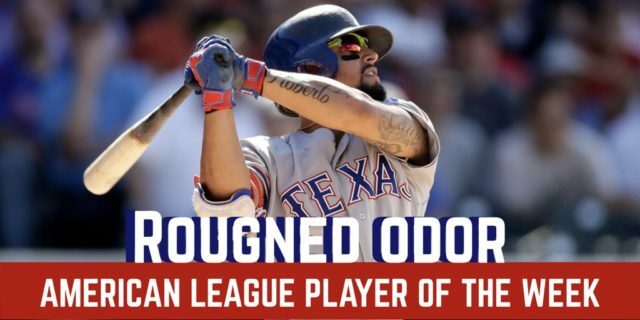 Texas Rangers second baseman Rougned Odor was selected by Major League Baseball as the American League Player of the Week for the period ending July 22. Odor is the first Ranger to be selected for the award this season. This is the third time Odor has won the award. He was honored for August 27 – September 4, 2016 and July 20 – 26, 2015. He went 8-for-13 (.615) with a home run, 3 RBI, and 2 runs in the weekend series against Cleveland, and ranks among AL leaders in hits and total bases since the All-Star Break.